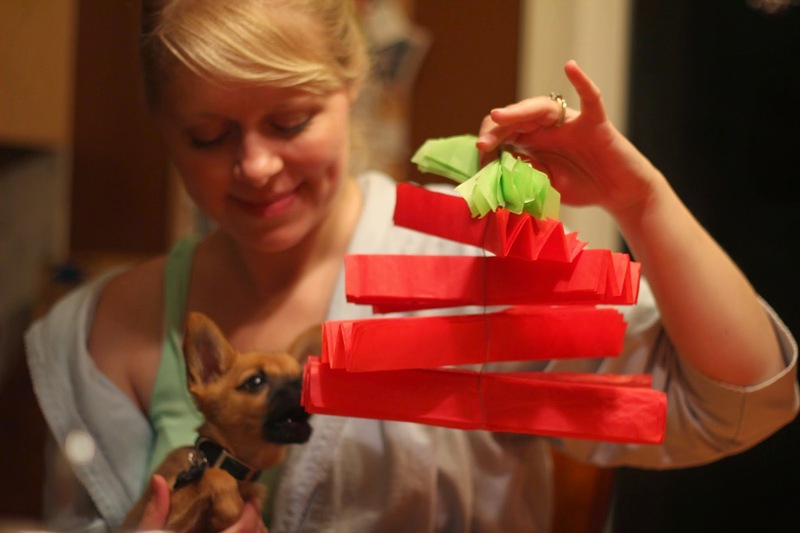 Women on a Mission: Mom Edition: STRAWBERRY POMS! This past weekend, I was fortunate to go to Big City, MN and stay with my partner-in-crime Ethne. Mur-Man and I were there to celebrate our friend Roxanne's baby shower! The theme was Pokey Puppy and it turned out A-DOR-ABLE! I promise to show photos of the entire party very soon, but first-up I wanted to give you a QUICK tutorial on a project that Ethne and I whipped up on the evening prior to the shower. 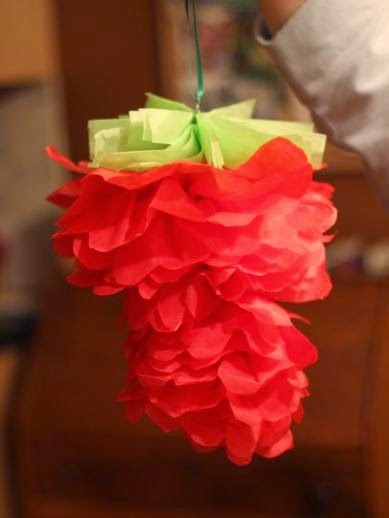 Remember, I did a tutorial on how to make tissue poms here. But, this is a spin on the traditional poms instead they are strawberry poms. First up, fold your red tissue paper into a square. 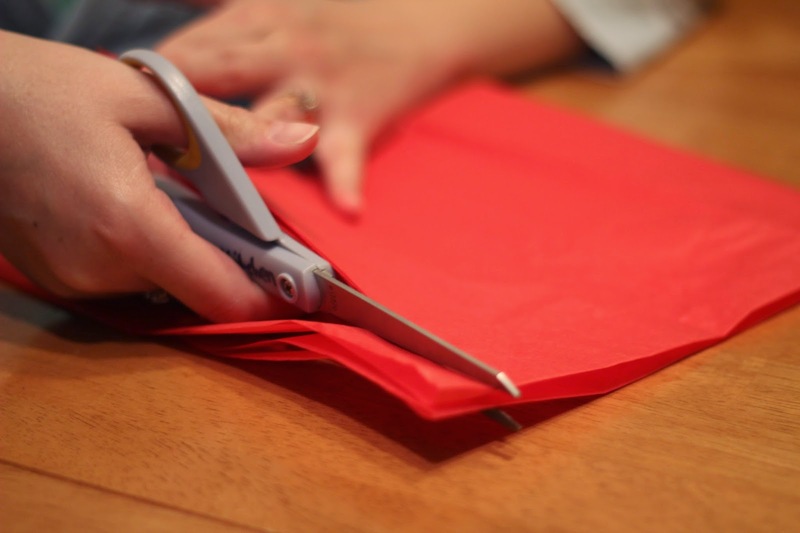 You will want to cut your red tissue paper into the following sizes. Next up, you want to cut the stem. 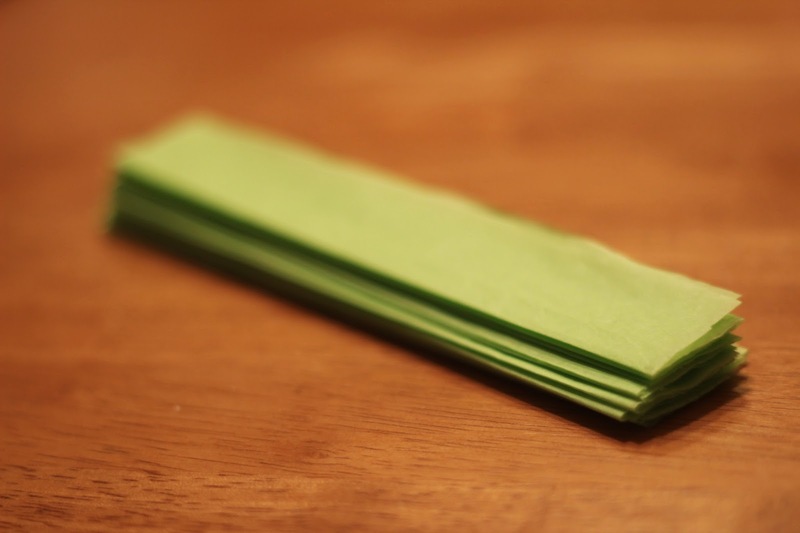 Fold the green tissue paper into thirds and cut. Next up, fold it accordion style and cut along all the seams. Accordion fold the squares of red tissue paper and round the ends. Cut a long piece of wire and fold in half. 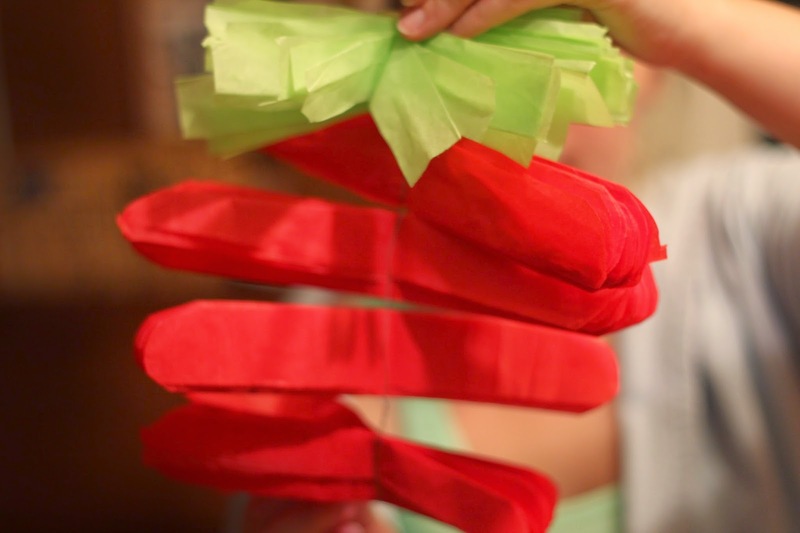 Wrap the wire around the red tissue paper twisting in-between the pieces. This version is wrong! We had our tissue in the wrong order for the shape of a strawberry! Fluff your tissue! There you have it! A-DOR-ABLE! I'm Throwing a Kid Birthday Party! The cat's ticked, which means we got our dog. NO ICED TEA IN FRANCE—NO WAY! TUESDAYS AT NOON: THE FRENCH LOVE OBAMA! FRENCH BEACHES ARE AT THE TOP(LESS)!